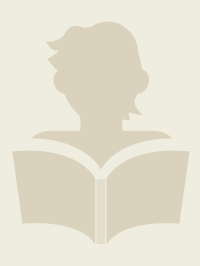 Ever since Darwin and "The Descent of Man," the existence of humans has been attributed to our intelligence and adaptability. 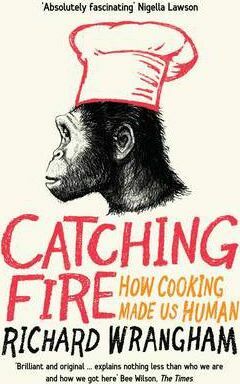 But in "Catching Fire," renowned primatologist Richard Wrangham presents a startling alternative: our evolutionary success is the result of cooking. In a groundbreaking theory of our origins, Wrangham shows that the shift from raw to cooked foods was the key factor in human evolution. When our ancestors adapted to using fire, humanity began. Once our hominid ancestors began cooking their food, the human digestive tract shrank and the brain grew. Time once spent chewing tough raw food could be sued instead to hunt and to tend camp. Cooking became the basis for pair bonding and marriage, created the household, and even led to a sexual division of labor. Tracing the contemporary implications of our ancestors' diets, "Catching Fire" sheds new light on how we came to be the social, intelligent, and sexual species we are today. A pathbreaking new theory of human evolution, "Catching Fire" will provoke controversy and fascinate anyone interested in our ancient origins--or in our modern eating habits.